When you’re considering starting a career in a new industry an important factor should always be how strong the industry is. Is it currently doing well, and why? Is it an industry that’s looking to the future, giving you job (or at least, career) security for years to come? In a previous article, we discussed 5 specific reasons you should consider a career in Singapore’s pharmaceutical or medical device industries. In this article, we’ll look at the strength of these industries and why they make such an appealing prospect. We’ll do that by considering why Singapore attracts the world’s pharmaceutical (pharma) and medical technology (medtech) industries. Let’s now take a look at each in turn, to explore the core strengths of Singapore’s pharma and medtech industries. There are several global examples of how a geographical ‘cluster’ of niche businesses can perform well and promote strong growth in that sector. Singapore’s pharmaceutical industry is a great example of such a cluster, and one which the country itself is now trying to replicate with medical technology. The government’s 1991 “Strategic Economic Plan” specifically identified the need to form competitive and industry-leading clusters. Chemicals, biomedical science and engineering were soon identified as good potential clusters for the country. In 1999, biotechnology was added as a priority. With this one, however, they would focus on the entire value chain of the industry – trying to attract research, clinical trials, manufacturing and delivery all at once. Developing infrastructure – they began to develop two sites, Biopolis and the Tuas Biomedical Park. These areas were to be used to create two specific “hubs” of pharma activity in Singapore. The investment in the sites and the surrounding infrastructure essentially created an ideal physical “home” for pharmaceutical companies. Additionally, there was funding of public-sector research institutes. There are currently over 30 active in Singapore. This helps to create an environment that attracts companies looking to carry out research and development. Some of these public institutes have now formed public-private partnerships with industry. This network and close collaboration has enhanced the drug development process timeline. The first activities attracted to Singapore’s early offer were manufacturing. What makes Singapore’s cluster particularly interesting is that once they had attracted manufacturing, they didn’t stop there. As we can see above, they worked up the value chain to attract higher value activities such as R&D. This is something many other pharmaceutical clusters have struggled to achieve but Singapore appears to be succeeding. The country is firmly aiming at a fully integrated industry. As soon at there are a few companies in a similar geographical area, niche suppliers and supporting services will often follow. It makes good business sense for them to be close to so many of their customers. This brings further revenue and expands the cluster. Now that these structures are in place, Singapore is beginning to attract industry starts ups. Once so much knowledge and expertise exists in one small area, it becomes a very appealing offer to younger companies. One of the central benefits of a cluster like this is the concentred presence of a skilled workforce. More and more individuals within the area begin to learn skills that are useful to the industry, and as activities diversify, so do the skill sets. As workers develop the necessary skill sets, the appeal for new companies increases. In addition, when local education or government initiatives start to support the development of these skills as a priority, companies are reassured that their workforce needs can be met in the area. Another interesting advantage that Singapore’s cluster offers is accessibility to the Asia Pacific healthcare market. The medtech market is growing quickly and may even take over from the European market within the next decade. Singapore’s cluster provides an established base from which companies can expand into this market. There are currently over 30 medical technology companies in the country and 7 of the world’s top 10 biopharmaceutical companies have a manufacturing presence here. The biomedical manufacturing industry is the second biggest contributor to the country’s manufacturing sector, contributing approximately 20%. To give a sense of scale to that – in 2013, products worth $25 billion were manufactured by the industry here. That same metric was $5 billion in 2000. As another measure of success, in 2013 foreign biomedical companies spent $500m on R&D in Singapore. That figure had been $40m a decade earlier. These levels of growth, over a relatively short period of time, are good indicators of the success of the cluster here. Singapore is seen as having a positive business environment, especially with regard to pharmaceutical and medical device manufacturing. In fact, the support that Singapore offers to its biotechnology companies has been recognised globally. In 2016, Scientific American Worldview: A Global Biotechnology Perspective released a “scorecard of biotech innovative countries”. In these worldwide rankings, Singapore placed 2nd. The rankings aggregate from a host of categories. Singapore actually placed 1st in the Enterprise Support and Policy & Stability categories. The Singaporean government spent approximately $2bn in infrastructure and biomedical capabilities in the first decade of the 21st century. They then allocated $3bn to support biomedical enterprises and research between 2011 and 2015. Government investment in medtech R&D in 2013 alone, was approximately 2% of annual GDP. The Singapore government also provides some tax incentives for businesses in this industry. These tax incentives are provided to encourage activities such as expansion of businesses, establishment of regional or international headquarters, research and development, and innovation that improves productivity. There are additional, non-tax based incentives, such as research and development grants, training allowances and schemes to promote investment in early-stage/start up companies. The government has recognised the need for a well trained workforce and has implemented training schemes and initiatives to help achieve this. 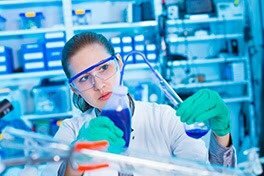 A recent example is the Sectoral Manpower Development Fund (SMDP) for Biologics where close working with industry partners was used to develop a plan for the skills and manpower needed to support the biologics industry in the medium-term. In 2000, the Biomedical Research Council (BMRC) was created to oversee the public research activities in biomedical sciences across the country. They are also tasked with developing the workforce to support this industry. This is another clear indication of the priority given to both successful research activities and a successful workforce, by Singapore. There are a large number of public-sector research institutes across Singapore. Some now work directly with companies in public-private partnerships to drive forward scientific progress. Having institutions such as this, who will form these types of collaborations with industry, gives companies a big draw to an area. Speeding up research and development is in everyone’s best interests. Additionally, there are further steps being taken to promote the strength of the local cluster. One such example is the EDB’s Partnerships for Capability Transformation (PACT) which began in 2010. The aim of this initiative is to promote cooperative partnerships between Large Organisations and Singapore’s Small and Medium-sized Enterprises (SMEs). Within the biomedical manufacturing industries, this is being used to develop suppliers that can appropriately meet the quality requirements, leading to an increase in opportunities for these SMEs across the country. It’s also worth noting that these government interventions have moved along with technology and progress within the industry – biopharmaceuticals and medical technology have become more recent areas of focus in which the country aims to replicate its previous successes. The government’s targeted approach of support through infrastructure, business incentives and workforce developments has undoubtably helped in making Singapore the thriving pharmaceutical hub that it is today. A key additional feature of Singapore’s environment, that compliments its cluster effect well, is its strong reputation. The skill of available workforce and high standards of operations are both, undoubtably, contributing factors to its success. In industries constantly moving at the forefront of technology, it’s no surprise that a highly skilled and adaptable workforce is a big attraction. But Singapore also ranked 1st in the category of “Readiness” in the IMD World Talent Report 2016. That specific category looks at areas such as labour force growth, availability of skilled labour and the education system of a country. Even if we just consider biopharmaceutical manufacturing for a moment. This industry employed 1,900 people in the year 2000. By 2015, that figure had risen to 6,000. 80% of those additional jobs were filled by Singaporeans. In 2015, it was reported that Amgen cited the country’s “rich talent pool” as one of the reasons it decided to open operations in Singapore. The fact that the Singaporean workforce has been able to provide this level of support to growth and adapt to the skills of newer industries, has been appealing for companies. The government has also done its part – implementing training schemes and initiatives to ensure that the local workforce can upskill to meet the requirements of the industry. And in return, employees are well compensated. The average remuneration package for an employee of Singapore’s biopharmaceutical industry in 2015 was S$102,000. It is also seen to be a good area due to its consistently good score on the Corruption Index by Transparency International. In 2016 it ranked 7th out of 176 countries analysed. This has led to Singapore being regarded as a “somewhat of compliance hub for the region” by some. When asked about this reputation in 2015, Kevin Lai (the executive director of the Biomedical Sciences and Consumer Businesses at the Singapore Economic Development Board) acknowledged the country’s place on this index as well as the “stringent implementation of laws in place”. 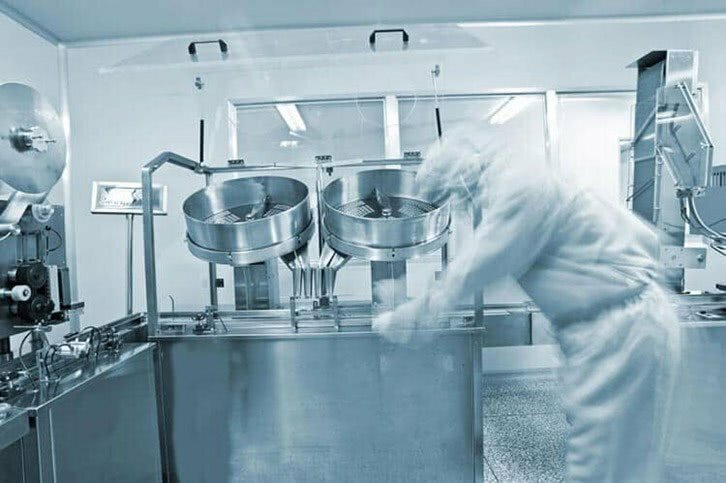 Every manufacturing facility for biopharmaceuticals in Singapore had received validation from international regulators such as the FDA and the EMEA. This strong reputation has given US and European manufacturers confidence to use Singapore as a hub from which they can expand into Asian markets, with which they are historically less familiar. These three key factors – the cluster effect, local support and a reputation for high standards – are leading attractions for a company considering where to place their operations. The growth of these industries has been relatively quick in Singapore but, most importantly, it continues with strength. Singapore’s initial plan to attract these industries was strong but it has also evolved as the needs of the sector developed. It seems that the country has learned what worked well in its initial plan to attract pharmaceutical companies and that can now provide a blueprint for attracting further, related industries, such as medical technology and devices. With this goal, biomedical manufacturing provides an interesting and secure career option within modern Singapore.